M S International, Inc. (MSI), a leading U.S.-based distributor of flooring, wall tile, Countertops , and hardscaping materials, introduces a free online tool that offers more than 40 floor pattern designs. 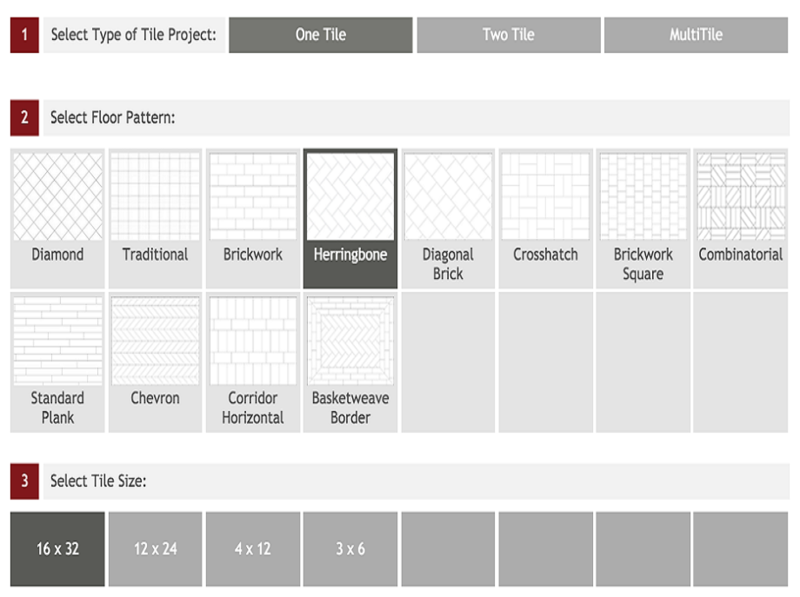 The Floor Pattern Tool helps homeowners choose from a wide range of pattern styles and quickly visualize their new tile flooring. MSI encourages industry professionals to make this tool available on their website to increase customer engagement during the sales process. With MSI’s Floor Pattern Tool, users select one, two, or multiple sizes of tiles to be used in the project. The tool offers more than 40 floor patterns, including Diamond, Herringbone, Chevron, and Versailles, and provides the most popular tile sizes to choose from. Once the floor pattern is selected, users can conveniently calculate the number of tiles needed by inputting the size of the room and adding a percentage allotted for waste.